Humphrey School of Public Affairs, University of Minnesota alumni Agnes Igoye (Uganda 2010-11), Sarah Kyei (Ghana 2013-14), Gladys Hlatywayo (Zimbabwe 2014-15), and Agness Mumba (Zambia 2015-16) gave presentations on their work and recommendations toward the them of "African Humphrey Voices: Building a Better Future for Our Continent" at the 40th anniversary celebration of the Hubert H. Humphrey International Fellows program (a Fulbright program) held in Johannesburg, South Africa. 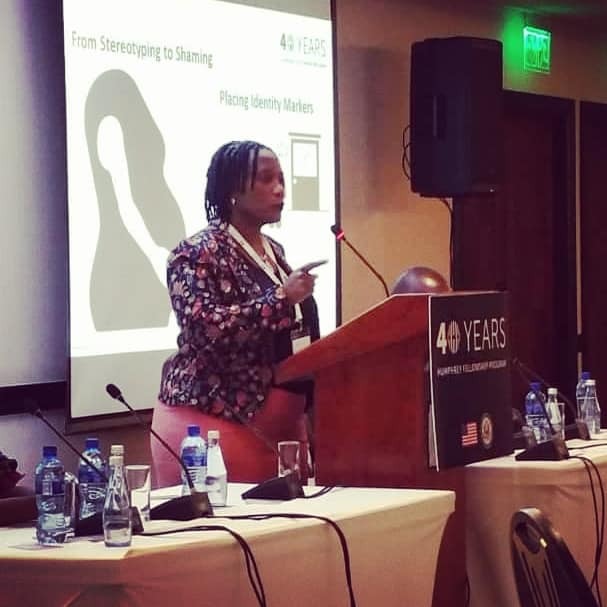 The Hubert H. Humphrey Fellowship Program celebrated 40 years of bringing international professionals to the United States to engage in study and collaborate with U.S. counterparts at “African Humphrey Voices: Building a Better Future for Our Continent,” a Pan-African alumni conference Sept. 14–16, 2018, in Johannesburg, South Africa. 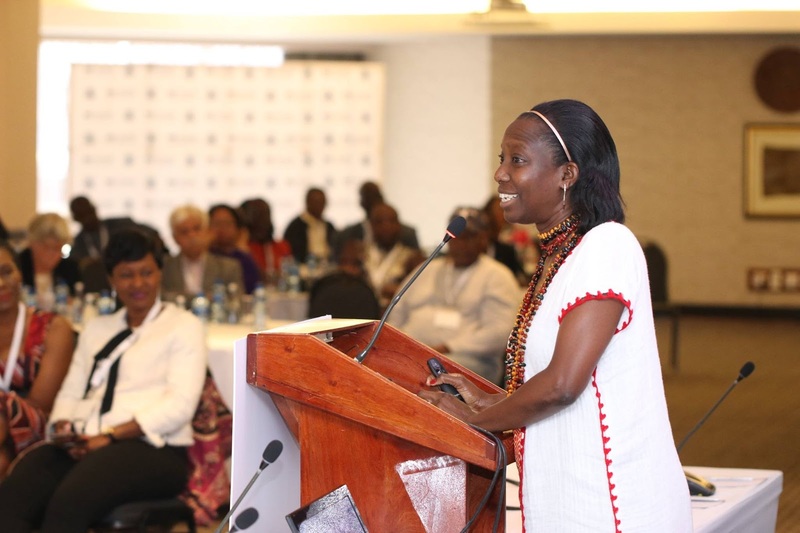 The three-day event focused on economic development and good governance and acknowledged the legacy of the nearly 6,000 Fellows and Alumni and the communities enriched by them. 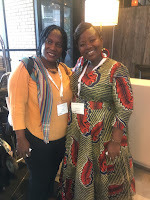 Founded in 1978 in honor of the late Senator and Vice President, the Hubert H. Humphrey Fellowship Program provides a year of professional enrichment and leadership development in the United States for mid-career professionals from countries across the developing world. 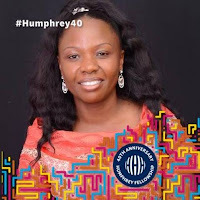 The Humphrey Program fosters a mutual exchange of knowledge, builds professional capacity, promotes lasting ties, and enhances international cooperation. Each year approximately 150 Fellows, funded by the Bureau of Educational and Cultural Affairs of the U.S. Department of State, engage in graduate-level non-degree study and related professional experiences at leading U.S. universities in fields critical to U.S. relations with the developing world. The program now has a network of nearly 6,000 fellows and alumni in 162 countries around the world working to improve their communities. The Humphrey Program was launched as a Presidential initiative in 1978. Over the next year, the State Department, working closely with the Institute of International Education, aims to acknowledge the extraordinary professional achievements and impact of Humphrey alumni during the Fellowship’s first 40 years through a series of events around the world. 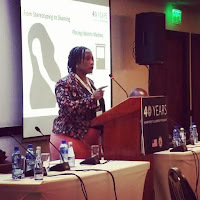 The Humphrey Program begins its anniversary events in Johannesburg in recognition that thirty percent of all Humphrey alumni are from Sub-Saharan Africa, the largest regional concentration in the world.